Flowing from that theme, the conference kicks off with a keynote address by Carol Cone, Global Practise Chair, Business +Social Purpose, Edelman. On the second day of the conference, sustainability and CSR experts, will also talk about their experiences in building a better reputation. Other interesting sessions include a joint presentation by 6 consultancies and their clients on campaigns. “Given the line-up of speakers, this year definitely seems to be even more bigger and better. Apart from the invaluable learning from the panelists the event also brings together many PR and corporate communications professionals under one roof making it one of the biggest networking platforms for our community. This year participants can also look forward to two insightful workshops being conducted by The Communique. ", said Vikram Kharvi from Adfactors B2B. Vikram is PRAXIS 2014 co-chair along with Bhuvaneshwari Joshi of MSLGROUP. The conference is being attended by over 300 delegates-it has grown steadily over the last 3 years and the sponorship has doubled since the first event in 2012. PRAXIS 2015 is likely to be held in one of the five southern states. 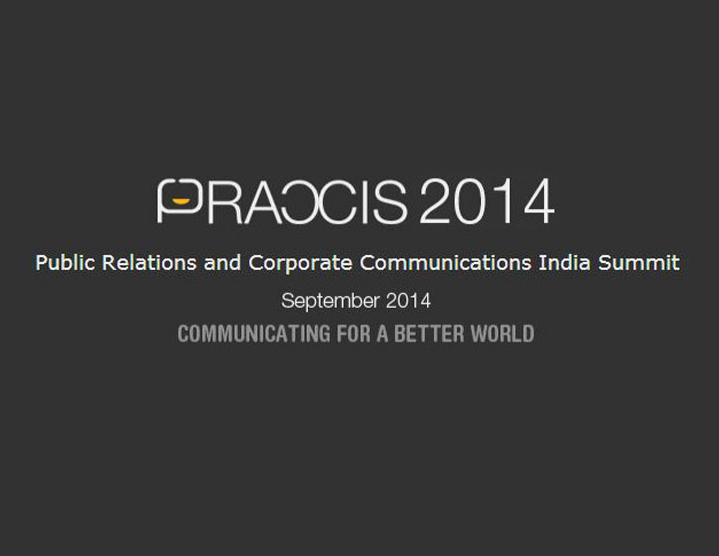 The event can be followed at Twitter at @PRomiseFdn, using the hashtag #PRAXIS2014. Watch out for PRmoment India's coverage of the sessions.